We look after our mind, our body but what about our Spirit, our Energy? Jin Shin Jyutsu® Physio Philosophy could be the answer for you. February 17th 2009 - We look after our mind, our body but what about our Spirit, our Energy? Jin Shin Jyutsu® Physio Philosophy could be the answer for you. When I look at what life seems to have become from the 80’s and 90’s compared to what it was in the 30’s and 40’s I am truly aware of how easy, at least physically, life has become and how fast we live it. We have fast food, fast cars, internet, instant communication and I believe that while it all seems a bit chaotic, the pace either kills us or keeps us young. It’s like 80 is the new 65 and what I see happening is people are living longer and staying healthy. But are we really? Healthy that is? Doing everything possible to stay young and healthy even into our elder years? The retirement age was set to 65 way back when Old Age Pension came into play and it was set at 65 because the average person lived to be only 60. When farming was completely manual and health care was small town doctors and sometimes what people thought to be witch doctors, women often didn’t make it through child birth never mind live into their 80’s being the vibrant and vivacious women they are now. Now we can have babies that are born under 3 pounds and modern medicine cannot only keep them alive but they now live and grow up to be completely healthy and normal adults. I think the part of the secret (I believe it is truly multi-faceted) is the new found love of healthy eating, organic foods, getting back to basics if you will. Even in all of this chaos and for those that choose to take on being responsible for their health and well being, I’d say we fare pretty well…but do we do everything we could? We look after our body from the perspective of what we put in it and how we exercise. We look after our minds by learning and keeping up with current events and engaging in titillating conversation and great projects that have us use the sharpest parts of our minds but what do we do for our sprit and our internal energy? What?! Spirit! But I go to church, I go to ceremonies and rituals…I look after my spirit and what’s this energy thing anyway? Energy connects us directly to Source…Creator Energy, Your God. Looking after our energy is simple and we already have all of the inner wisdom we need, the innate instincts which we have used as far back as thousands of years to look after ourselves. Jin Shin Jyutsu® Physio Philosophy is an ancient art of harmony and when I began studying it, it was because at the age of 28 I was faced with some health challenges. I had contracted Ulcerative Colitis. Not your routine bowel disorder and quite debilitating during crisis. When I found Jin Shin Jyutsu® I was in awe of how quickly I became calm and my nerves were not on edge anymore and I looked so forward to my session every week I would literally get excited as it drew near. I always felt so renewed and fresh and one day I just noticed I had not had an attack in so long I could not remember the last time it had happened to me. That was when I knew this would change mine and many other people’s lives. That was when it was suggested that I begin learning how to do this for myself and maybe for others if that inspired me and it sure did. So what is this energy thing? Well Jin Shin Jyutsu® is first of all not a healing art. What? How can that be when I just told you that the Colitis attacks stopped? Well, Jin Shin Jyutsu is an art of harmony and when our body, mind and spirit are in harmony, the side effect often is healing. As Practitioners, it is not our intention to heal or fix, and, it often clears the body in a way that has it restore itself to its original harmonious state. 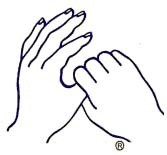 Jin Shin Jyutsu® is practiced by placing fingertips over clothing on certain areas of the body that we call Safety energy Locks. Our Safety energy Locks behave like circuit breakers in the body. When we overload ourselves they become blocked and energy can no longer get through. The Practitioner listens to your pulse which helps them to choose a flow (a sequence of holds) that will best facilitate the movement of energy. The intention is not to direct or channel energy and the Practitioner should not experience any fatigue from working with people. The focus is simply to be with the energy and clear the path so that it may restore its natural flow. People typically receive sessions on a regular basis but the true gift of Jin Shin Jyutsu® is that it can be practiced on you; by you. Self Help is the very heart of Jin Shin Jyutsu® and can be done 24 hours a day. The beauty of this is that you can help yourself and you do not have to become dependant on a Practitioner like so many other modalities that are offered. It becomes part of your daily routine and can assist in relieving stress and tension. You can receive Jin Shin Jyutsu® every day, however, if you are receiving from a Practitioner you should not have more than 1 hour every 8 hours whereas you can apply the Self Help flows 24 hours a day, 7 days a week. Jin Shin Jyutsu® can also be practiced on our animal companions. Dogs, cats, horses they all love it and respond so profoundly it is truly an honour to watch the transformation in them. Predating Buddha, Jin Shin Jyutsu® brings with it the simple philosophy of harmony and directly translated means: Art of the Creator through the compassionate Man (human). It is gentle in nature and its very simplicity brings with it ways to be with yourself and others that is truly compassionate. Have you ever wondered why you touch your forehead when you try to remember something? Safety energy Lock 20 came into the universe meaning ever lasting eternity and is located in the forehead and is also responsible for memory. Everyone does it. Watch and you will see. Pay attention to your natural instincts and you could find a connection to Jin Shin Jyutsu®. A simple way to look after our energy; connect to spirit and give ourselves some time out of the chaos of the times.